Display on your PC lets you monitor ECGs in real-time. and save a report simply select the Record key. Print full page reports on most printers. to integrate with your EMR. 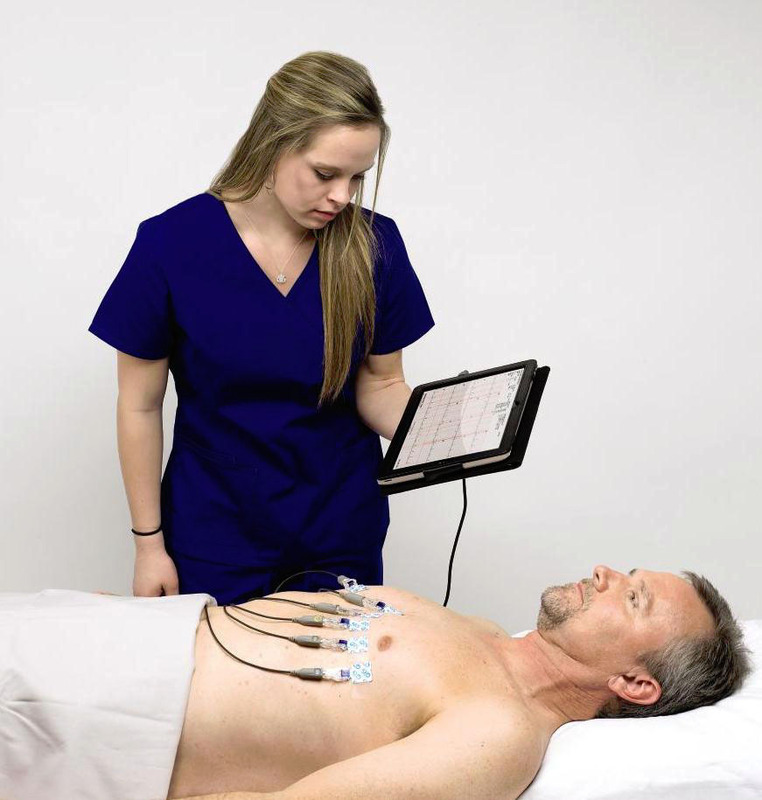 The Universal ECG interprets tracings using the Louvaine analysis program developed by Cardionics SA, in conjunction with the Catholic University of Louvaine (UCL) in Belgium. The interpretation can be modified or supplemented with physicians' notes. 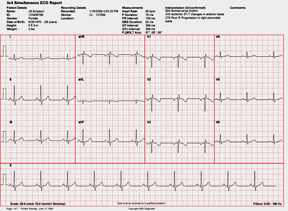 In addition to a statement of interpretation, the software provides the following measurements: Heart Rate, P Duration, PR Interval, QRS Duration, QT Interval, QTc Interval, P Axis, QRS Axis, and T Axis. You also get a detailed account of the amplitude, slope, and duration of each lead at the P, Q, R, S and T.
To learn more about the Louvaine Algorithm, download the Universal ECG Algorithm brochure. 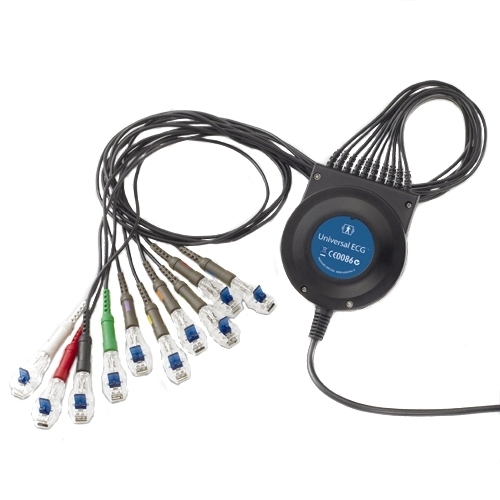 Complies with AAMI EC11, EN60601-1, EN60601-1-1, EC 60601-1-2, and EN60601-2-25. *Willems, J.L., et al., "The Diagnostic Performance of Computer Programs for the Interpretation of Electrocardiograms", New England Journal of Medicine (1991); 325: 1767-1773.